Client Dune Medical lands print, online and video in The Wall Street Journal for MarginProbe medical device! This week the The Wall Street Journal featured Write2Market client Dune Medical and their MarginProbe device. The device helps surgeons performing a lumpectomy to identify a clean margin in the operating room, making sure that no cancerous cells are left in the breast. 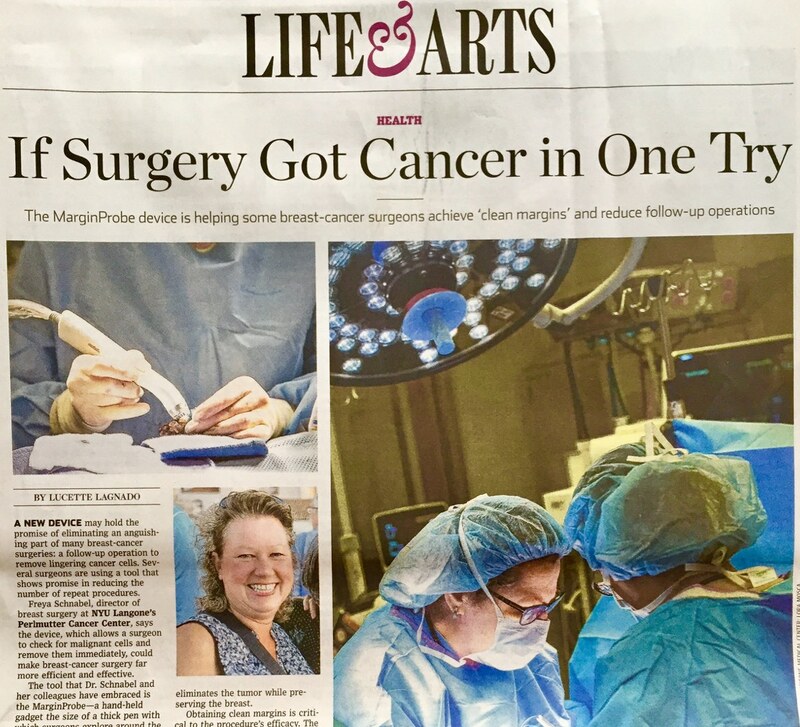 Thanks to the MaringProbe thousands of women were spared the lumpectomy nightmare scenario: the need to be operated on again because some cancer cells where left in the breast the first time! The article, written by WSJ reported Lucette Lagnado appeared in print in the Life & Arts section. In addition to the print and online edition, Lagnado also sat down with WSJ’s Tanya Rivero and Doctor Alice Police for an interview to further review the benefits of the device and what it means for patients across the country. Congratulations to everyone that made this story happen including several doctors willing to go ‘on the record’ and staff at NYU. Real journalism still exists and has a thorough vetting process! Next PostThe W2M 2017 conference calendar is stacked!